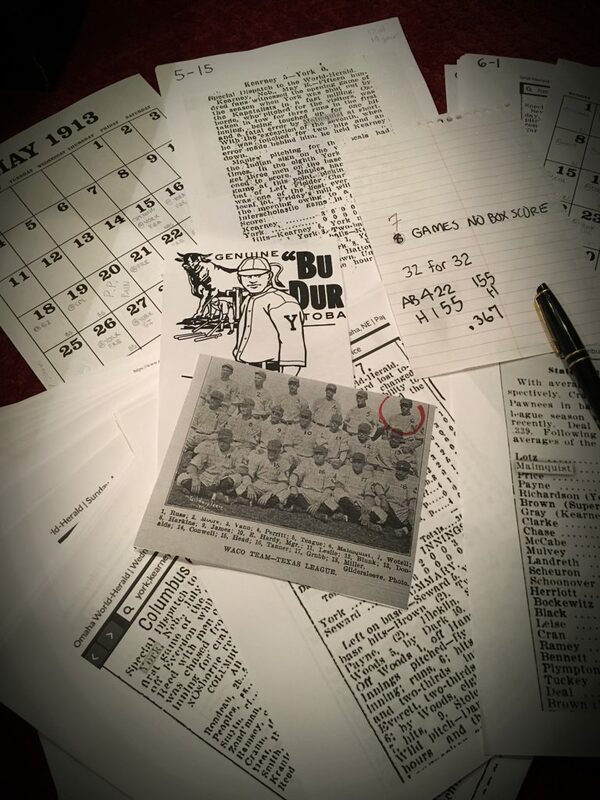 I’m just putting the finishing touches on my next story and illustration – a new look at Walt Malmquist’s 1913 Nebraska State League season. Who the heck is Malmquist and why should you care about his season in an obscure and defunct bush league? Well, for more than a century Walt Malmquist’s .477 has been touted as the highest recorded single-season batting average in professional baseball. Problem is, Walt Malmquist didn’t hit .477. Over the past few months I recovered box scores from 103 of the 110 games Malmquist played in 1913 and next week you’ll get to see the results of that research. Plus, as always, there will be an original baseball card illustration of the elusive Walt Malmquist to add a face to the stats.